It seems 3D platform games are making a comeback this gaming generation. I fell in love with this genre back in the PS1 and N64 days. Games like Super Mario 64, Conker’s Bad Fur Day, Banjo-Kazooie series, Spyro series, and the Crash Bandicoot series were a part of my childhood. Many older titles are being remastered and remade on current gen consoles. Brand new titles continue to be announced and released more frequently compared to the last few years. 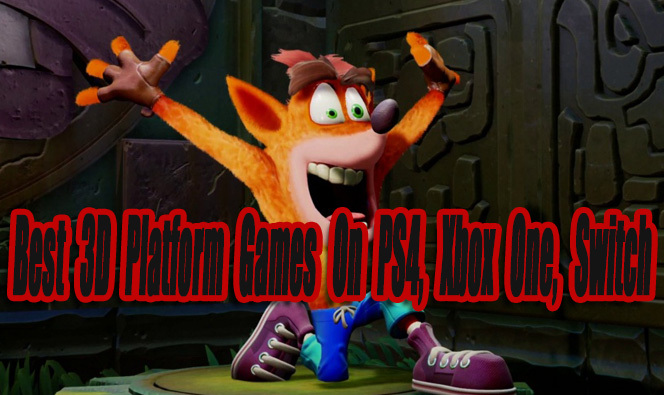 I decided to create an updated ranked list featuring the 12 best 3D platform games released on PS4, Xbox One, or Switch so far, along with honorable mentions. When new worthy games are released, this article will be updated. In Super Lucky Tale you play as a fox named Lucky. Lucky is on a quest to help his sister save the book of ages and defeat the evil villain Jinx. Graphically Super Lucky Tale is very colorful, cute, and impressive, especially in 4K using an Xbox One X. I loved the sound effects and fitting music in different areas of levels. The gameplay kind of reminds me of a mix between Super Mario Odyssey and Crash Bandicoot. The game has nice pacing, with varied secret and puzzle areas within levels. There are 4 clovers to earn or collect in each level, along with 300 coins (collecting 300 coins will give you a clover). Clovers are used to unlock levels and boss fights in each world. Collecting required clovers can become tedious and tiring after a while. I also thought the controls felt too floaty, making it hard to time jumps and gauge landing accuracy. Overall Super Lucky Tale is a decent 3D platformer that’s worth playing. After I looked passed Super Lucky Tale’s beautiful graphics, it was fun, but it lacked the “WOW” factor I wish it had. The original Voodoo Vince game was released on the OG Xbox in 2003. In 2017 a remastered version was released on Xbox One and PC. The remastered version added in 1080p resolution, smooth 60fps gameplay, and high-quality textures. Unlike a lot of other character-based platformers, Voodoo Vince has a spooky theme to it. Most of the levels are dark and take place in cemeteries, swamps, and carnivals. All of the characters in Voodoo Vince look like weird ghoulish creatures. Voodoo Vince’s main goal is to save his creator Madam Charmaine and destroy Kosmo The Inscrutable. 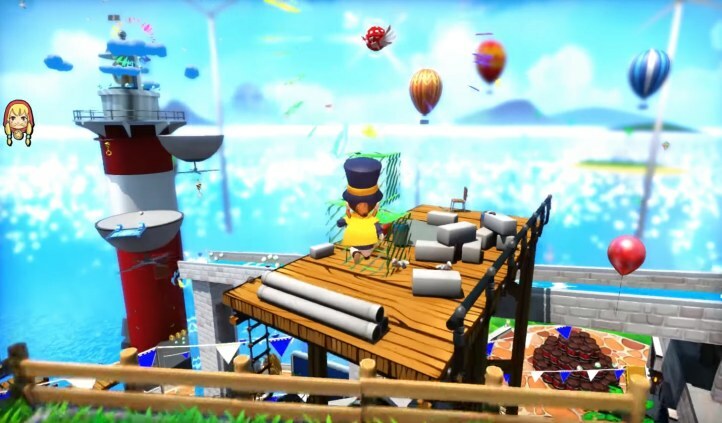 The levels are varied well, with standard platforming areas and areas where you fly airplanes, drive boats, solve puzzles, swing from parachutes and more. The story and the characters were little bland at first, but the more I played Voodoo Vince, the more I enjoyed them. Gamers that enjoy classic 3D platformers, might like VooDoo Vince. Candleman is probably one of the most bizarre 3D platformers I have ever played. I did not expect to like Candleman as much as I did. In Candleman you play as a living candle. This living candle is trying to make it to a lighthouse he sees from a distance. The gameplay mechanics are simple. You run, jump and light your candle up. The levels are straight forward, but they are put together exceptionally well. As you progress through levels new platforming elements and puzzles are introduced, always keeping the gameplay fresh and exciting. There are other Candles (collectibles) you can light up scattered across each level. 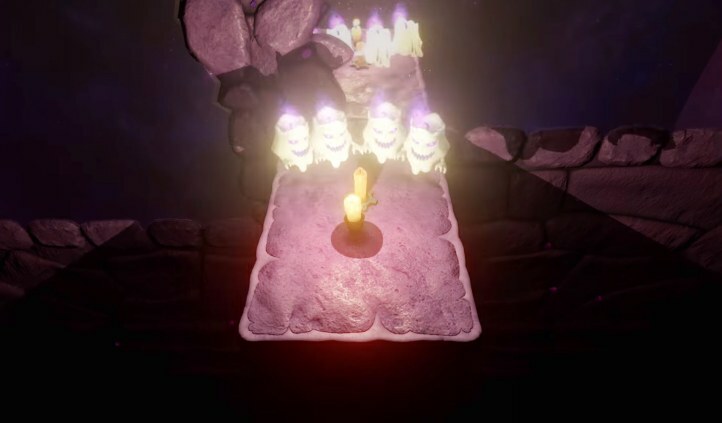 There are no memorable characters in Candleman, but if you’re looking for something unique, fun, and challenging this is a good platform game to play. It’s on the short side though, taking about 5 hours to complete. 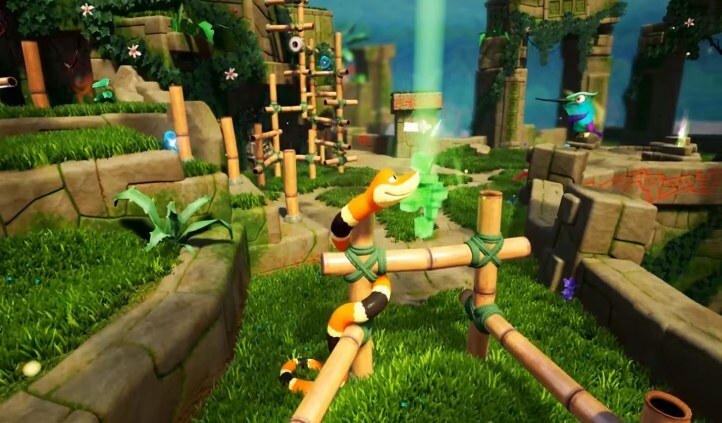 When a Snake simulator and a colorful 3D platformer merge together you get Snake Pass. In Snake Pass, you control a snake named Noodle, who is accompanied by a friendly Hummingbird named Doodle. At first controlling Noodle (the snake) is a difficult task, but with some practice, the controls become easier and it’s fun slithering around. When you get into complicated areas you can call on Doodle (The hummingbird) for a helpful lift. 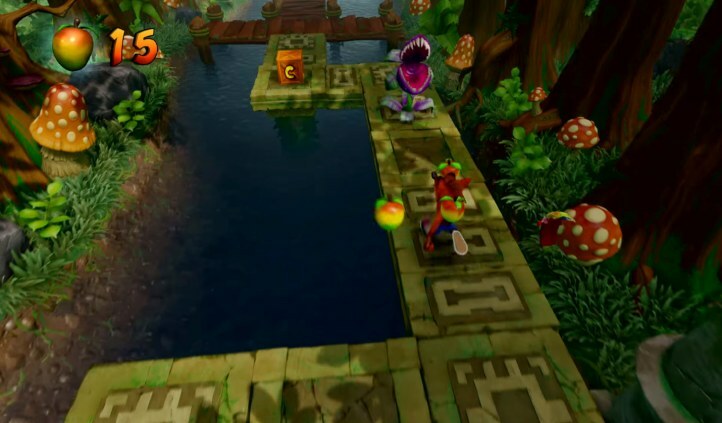 In each level, you will have to collect Keystones which are used to unlock new levels. There is also gate coins and blue orb collectibles hidden in each level. The entire game was a joy to play through and relaxing, just make sure you hit checkpoints often because some areas are very difficult. Knack 2 is a beat ’em up platformer that’s more fun to play with two players locally. Besides the bland characters and average story, Knack 2’s gameplay is full of action and platforming goodness. Knack is made up of magnetic particles that control how big or small he is. At any instance Knack can shed his particles to become a smaller version of himself. Depending on the level situations you will be required to use both the larger and much smaller versions of knack. The level design is varied well, with some areas focusing more on traditional platforming and other areas focus on brawling combat. 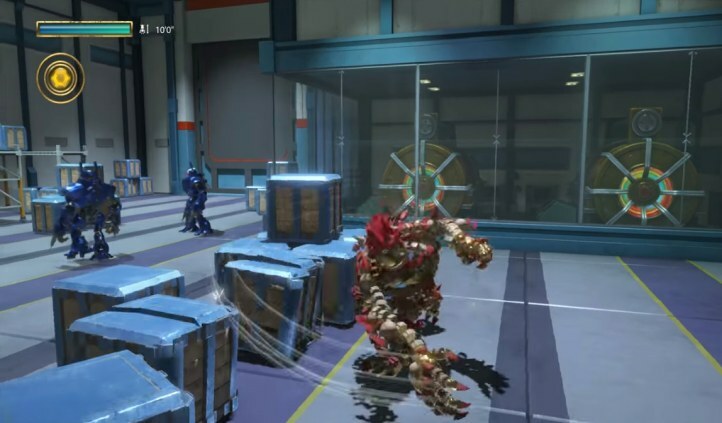 Throughout the game, you can upgrade and unlock new combat moves that Knack can use, which makes the progression feel rewarding. This game is fun playing alone, but the levels were built for two players. Me and my son had a blast playing through Knack 2, even though a lot of the combat gameplay felt repetitive after a while. 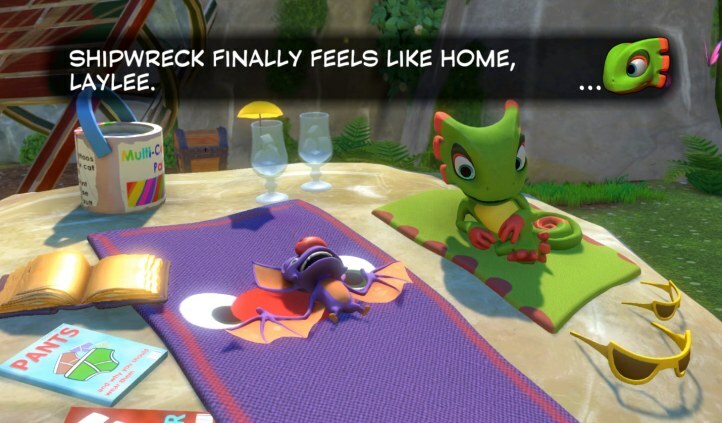 Yooka-Laylee was created from a fan-funded kickstarter campaign. A lot of former Rare (Creators of many popular classic platform games) developers helped create Yooka-Laylee. 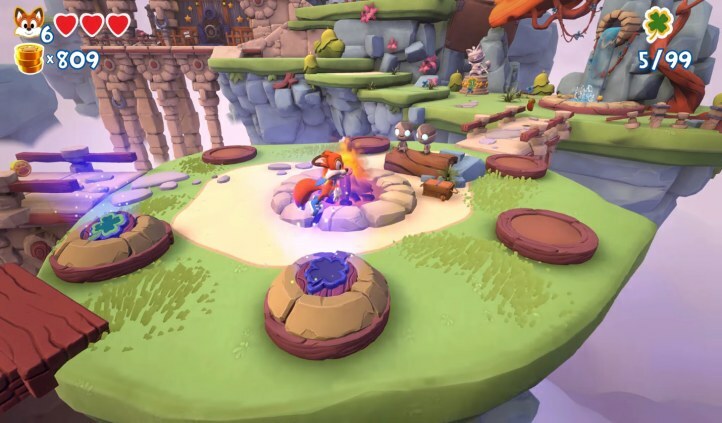 The worlds in Yooka-Laylee are colorful and the environments are varied nicely. There are 5 large worlds to explore in all, with 145 pagie’s (The main Collectibles) to collect. By collecting a certain number of pagie’s you can unlock new areas of levels and new worlds. All is not perfect though, the camera view acts wonky at times and some of the level pacings can feel repetitive. Overall, I enjoyed this game and thought it was similar to a classic Nintendo 64 game I loved called Banjo-Kazooie. 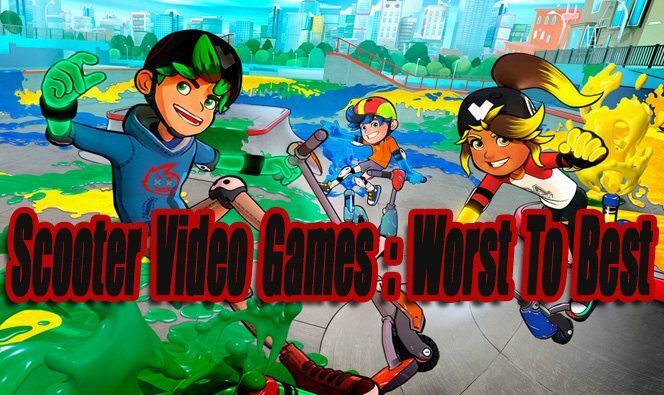 No, it’s not better than Banjo-Kazooie for anyone wondering, but it’s still worth playing! When I played through the first level in Tearaway Unfolded, I was unsure if I was going to like this game. The paper cut art style and characters did not impress me. As I played more of this game it began to grow on me. The varied elements in the gameplay and great use of the DualShock 4 motion controls are very creative. Creative enough to put really big smiles on my face numerous times while playing. I started to love the worlds in Tearaway Unfolded, looking forward to the next creative and unique events. It’s a platformer that stands on it own because no other platform games are like it. 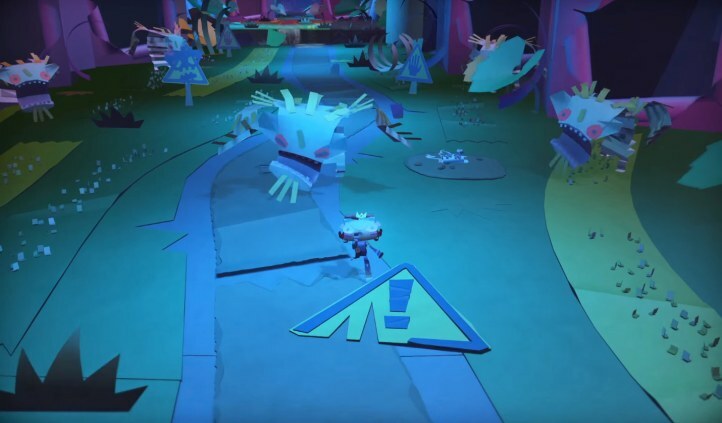 Tearaway Unfolded is a must check out if you are looking for a relaxing, unique, and creative platforming experience that will likely immerse and surprise you. Rare Replay, in my opinion, is the best classic gaming compilation ever. The collection Features 30 Iconic Rare developed games. 3 of my favorite N64 platformers are part of the Rare Replay collection, including Banjo-Kazooie, Banjo-Tooie, and Conker’s Bad Fur Day. These games are still fun to play and are still some of best 3D platformers even by today’s standards. All of these games have been boosted to native 1080P HD, however, they are not remakes. If you can’t tolerate old-school 3D graphics, you probably won’t enjoy these games. On a side note, you can now find this collection for $15 or less which is an amazing deal. Crash Bandicoot N. Sane Trilogy is a completely remade collection of the first 3 PS1 games (Crash Bandicoot, Cortex Strikes Back, Warped) in the Crash Bandicoot series. The core gameplay has remained the same, but the graphics, sounds, music, and controls have been updated to benefit these titles greatly. 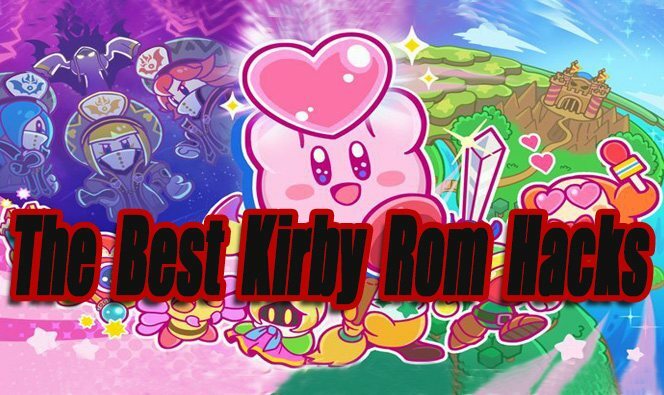 All of these games offer challenging narrow hallway style levels that will test your platforming skills to the max. Requiring you to move, jump, and attack enemies very accurately. I personally like the 2nd game the best, followed by the 3rd, then the 1st, but they are all fun to play. A must own for any platforming fan that enjoys quality platforming gameplay along with cool cartoony characters. Crash Bandicoot N. Sane Trilogy has been available on PS4 for some time now, Nintendo Switch and Xbox One versions are set to release on June 29th, 2018. A Hat In time was a big surprise for me. I honestly did not expect this game to be so good. Hat Girl the protagonist is on a quest to find timepieces in order to power up her airship. Her ship was previously damaged by a hoodlum, who caused her ship to lose all its timepieces. There are 4 large worlds to explore, collecting timepieces is your main objective. There is also costume, weapon, and move upgrades available. 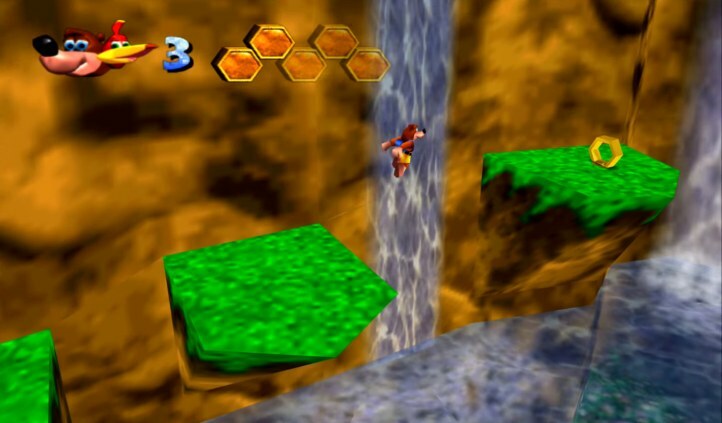 The level design and platforming gameplay are varied well. The experience never feels repetitive or boring, because the pacing is so good. No gameplay gimmicks are overused. I think A hat In Time has one of the best camera systems. The controls are also really smooth, up there with Super Mario Odyssey (Probably even better). I am sad that A Hat In Time never received a physical copy, the only way to buy this game is through a digital marketplace. It’s also sad that this game did not receive the recognition it deserved, while other inferior platformers received much more hype. If you love collectathon platformers, you got to check out A Hat In Time. Ratchet & Clank is amazing in every way. The graphics are better than any other 3D platformer available and are even more impressive when played in 4K HDR using a PS4 Pro. Besides the graphics, the characters, story, cinematic scenes, combat gameplay, weapons, enemies, and galactic worlds are all top notch. The weapons are crazy, over the top, and so much fun to use. All weapons have skill trees loaded with unlockable upgrades. I loved the pixalator gun the most, blasting enemies to retro 8-bit forms put a smile on my face. 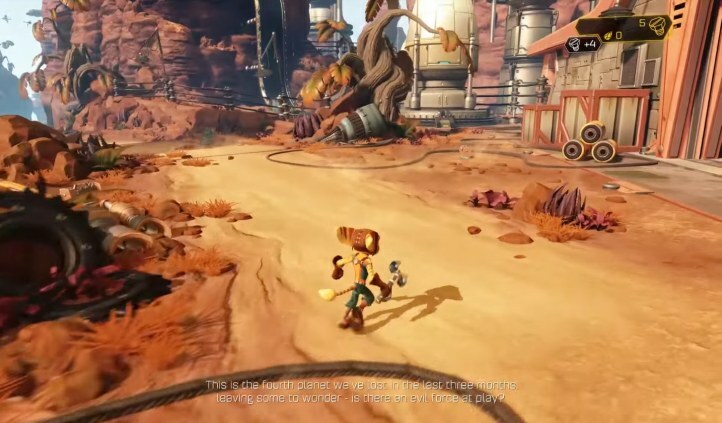 For most of the game you play as Ratchet the protagonist, however, there is some semi puzzle oriented areas where you play as his robotic sidekick Clank. If you’re looking for an action-packed platformer, with a lot of eye candy packed in, Ratchet & Clank is a great choice. From start to finish Super Mario Odyssey amazed me. No Doubt, it’s the best collectathon platformer ever made. Nintendo really went overboard diversifying the standard 3D Mario gameplay, however everything they changed and added works so well. Mario is now accompanied by Cappy, a magic hat that can be placed on enemies heads to take control of them. 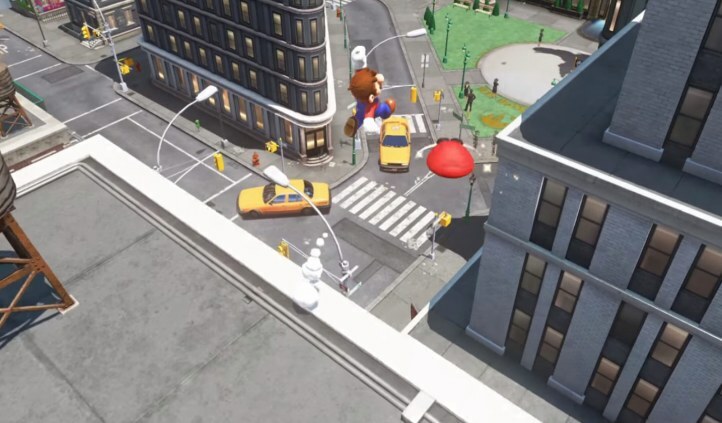 Cappy added so many unique gameplay possibilities to Super Mario Odyssey’s worlds. In Super Mario Odyssey your main goal is to collect moons, there are 999 moons in the game. Moons are needed to power up Mario’s Air Ship, so Mario can travel to new worlds and eventually save the captured Princess Peach. The moons are hidden everywhere in these worlds. Some moons are easy to find and collect, while others will take some serious platforming skills. Besides moons, each world has standard coins and there own special currency that can be optionally collected. With coins and other currencies, you can purchase new costumes, moons, and decorative pieces for your Air Ship. The creative level design of 3D to 2D areas was a nice touch that classic Super Mario fans (like me) will appreciate. Overall there’s just so much charm in Super Mario Odyssey and finding the moons never felt like a chore for me. Even after I beat this game, I continue to go back to it here and there to try to find more moons, just because it’s fun to do! The following games either barely missed our top list, are older PS2 titles ported to PS4, or are Xbox 360 backward compatible on Xbox One games. I have also listed a few games loosely related to 3D platform games. Blinx: The Time Sweeper (Xbox One Backwards Compatible) – Besides the horrible music and sound effects. Blinx is a solid platformer that features a cool cat that can control time. Conker: Live & Reloaded (Xbox One Backwards Compatible) – This is the best version of Conkers Bad Fur Day that’s available. The old Xbox graphics still look nice and are even better if you play it in 4k using an Xbox One X. There is even an online competitive deathmatch mode. Rayman 3 (Xbox One Backwards Compatible) – It’s not my favorite Rayman game in the series, but it’s still a decent platformer that you might want to check out. ReCore: Definitive Edition (Xbox One Exclusive) – I wouldn’t consider Recore to be a platform game, I think it’s closer to a third person shooter action/adventure game. However, Recore does share strong running and jumping elements from the platforming genre, along with a good amount of core collecting. Recore doesn’t fit the platforming build 100% but it’s still a great game that’s worth checking out. I loved the characters, gameplay, and atmosphere. 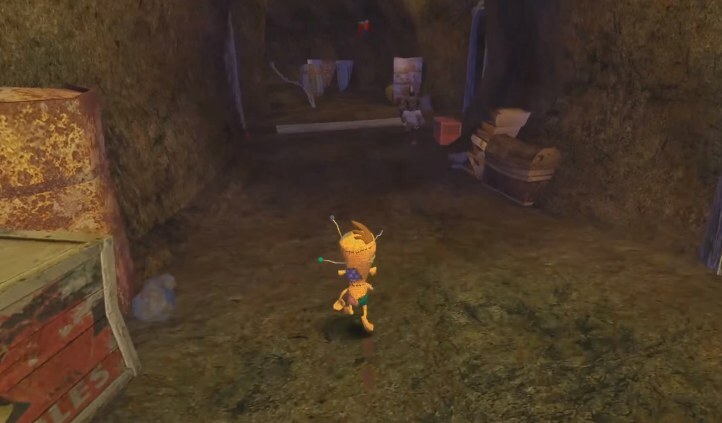 Jak and Daxter Bundle (PS4 Exclusive, PS2 games ported to PS4) – A great classic series that I liked back the day. I still like the first game the best, unfortunately, I don’t think the gameplay aged too well, especially in part 2 and 3. Ape Escape 2 (PS4 Exclusive, PS2 game ported to PS4) – Monkeys have gone mad in Ape Escape 2. Armed with a net and other gadgets, travel through 20 stages. I highly recommend giving this classic a try, if you have never played it. The Last Tinker City of Colors – I haven’t played this game, judging by the video gameplay it could be fun, at least for younger kids. Sonic Forces – I did not like it, but I am also an original long time SEGA and Sonic The Hedgehog fan. I can see younger kids liking this game. Knack – It’s ok, but part 2 is better in every way. De Blob 1 & 2 – Pretty fun blob coloring platformer packed with timed quests and puzzles. Skylanders Swap Force – Is Skylanders still a thing? To unlock new characters you will have to purchase toys. I never played these games, but I heard youngsters like them. Psychonauts (A Classic Title) – I love this game even though the graphics have not aged the best. It’s worth playing because of the exceptional characters, story, and gameplay. Trine 3: The Artifacts of Power – I thought this was the worst Trine game so far. 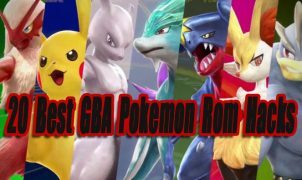 If you are a fan of the series, you might still enjoy this! Skylar & Plux – A generic version Ratchet & Clank that’s pretty decent from a platforming perspective. Because Crash Bandicoot N. Sane Trilogy was a hit, Activision decided to remake the original Spyro trilogy. 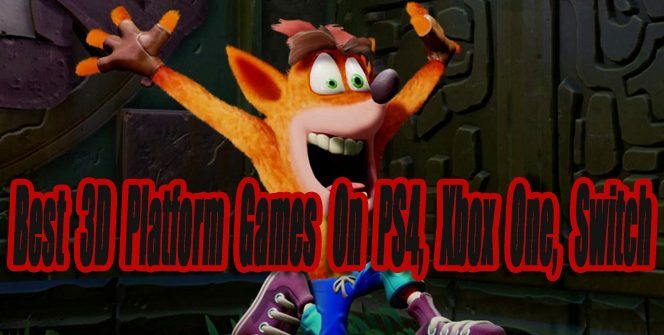 I am excited about these games because I enjoyed them more than the original Crash Bandicoot trilogy. This games release continues to be delayed. I have faith it’s going to be awesome like the first game though.